Today I got my Cracker Barrel fix. 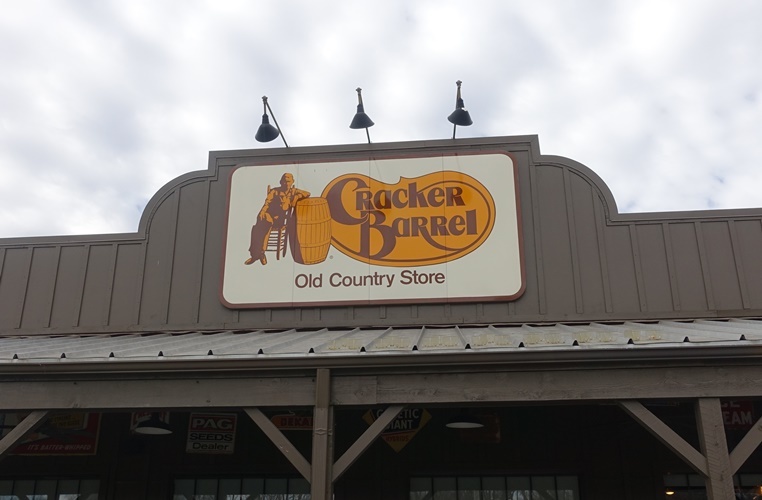 I was with my parents in St. Joseph, Missouri and we went to lunch at Cracker Barrel with some of our friends whom I have not seen for many years. 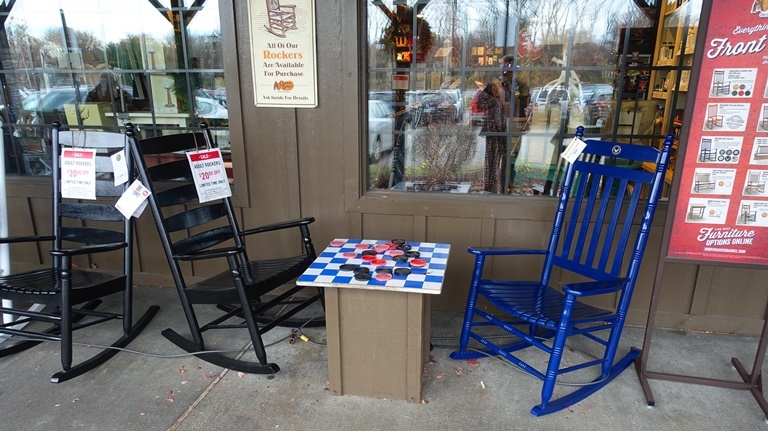 Cracker Barrel is known for the rocking chairs on the porch in front of the store. They are all available for purchase. You can even sit down for a game of checkers while waiting to be seated. 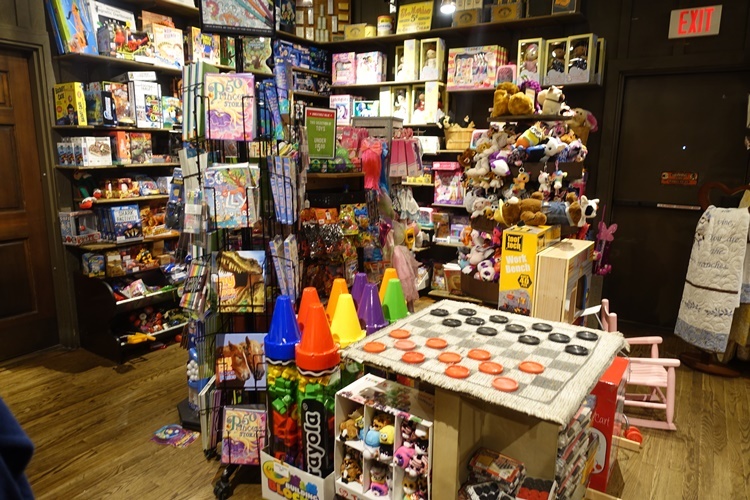 Cracker Barrel has two sections at each location. While waiting to be seated in the restaurant section you can browse through the retail section. Of course, you can also go back after you have eaten and had time to convince yourself that you need a nostalgic toy or some candy or drink that brings back memories of your childhood. We had a group of eight so there was a small wait for a table, but we were soon seated and ready to browse the menus. You usually get a menu with specials, the regular menu and the all day breakfast menu. I could have done without a menu as I knew what I was going to order. I ordered the Chicken Fried Chicken that came with three sides. With a dozen sides to pick from it was a bit more complicated. I chose green beans, corn and hash brown casserole. There were a couple more that I would have liked to have as well. My dad got his usual pancakes and my mom had a grilled chicken dish. I was soon enjoying fresh biscuits along with my lunch and enjoyed every bite. 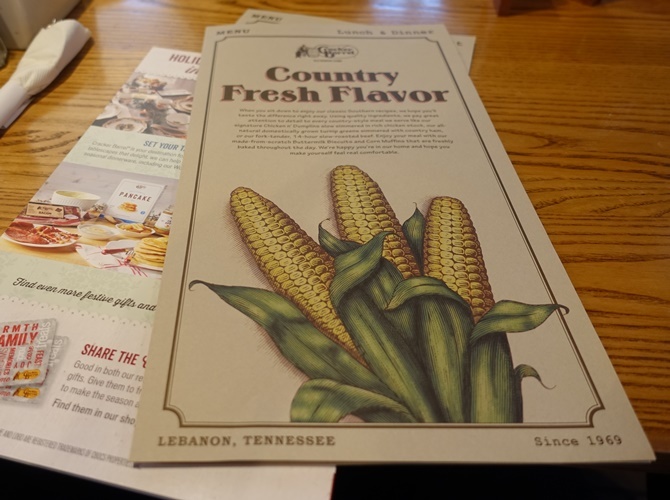 It was a nice comforting meal and brought back many memories of eating at Cracker Barrel through the years. 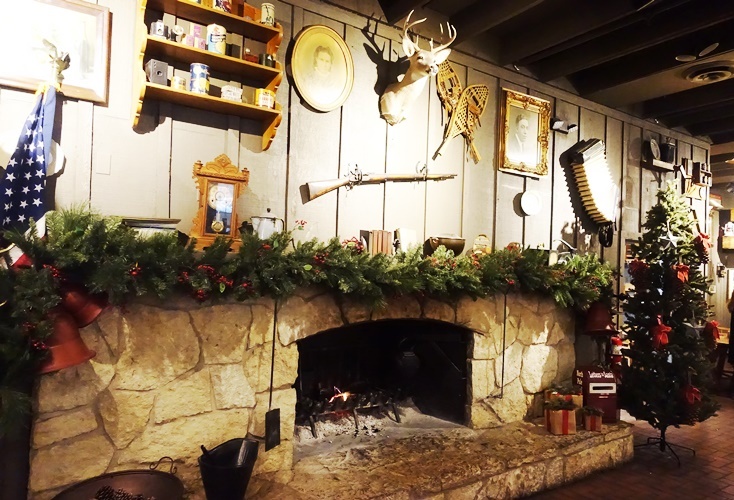 Cracker Barrel stores also have big old fireplaces and during cold weather there is usually a fire going. I am wondering if they will have fires going in the new locations in California? In some areas new fireplaces are banned, and there are major restrictions on fireplaces in all of California. 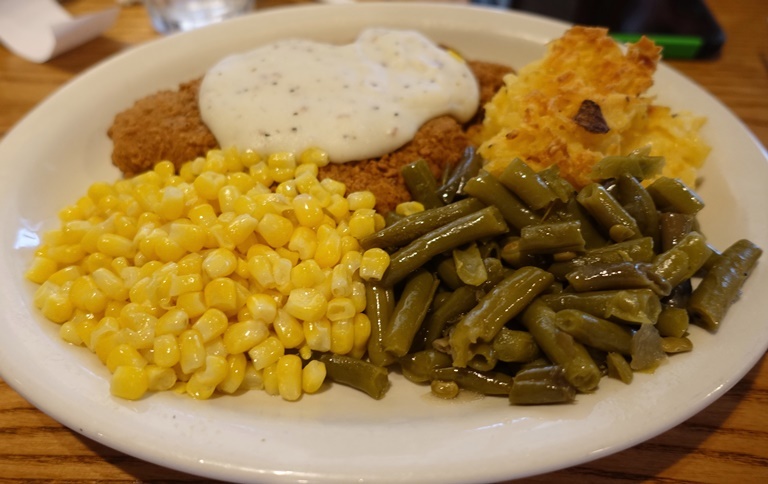 This entry was posted in California, Culture, Food, Memories, Travel and tagged California Cracker Barrel, Chicken, Comfort Food, Cracker Barrel, Fireplace, restaurants, St Joseph, St. Joe. Bookmark the permalink. A very accurate depiction of one of my favorite restaurants!